Children need room to grow. That doesn’t mean they need the largest room in the house; it does mean the room they have needs to offer the greatest amount of floor space possible. Children LOVE things that convert, transform and are “hidden” from plain view. Encourage their creativity and imagination with convertible furniture! Why not make bedtime more fun? One solutions makes everyone happy. 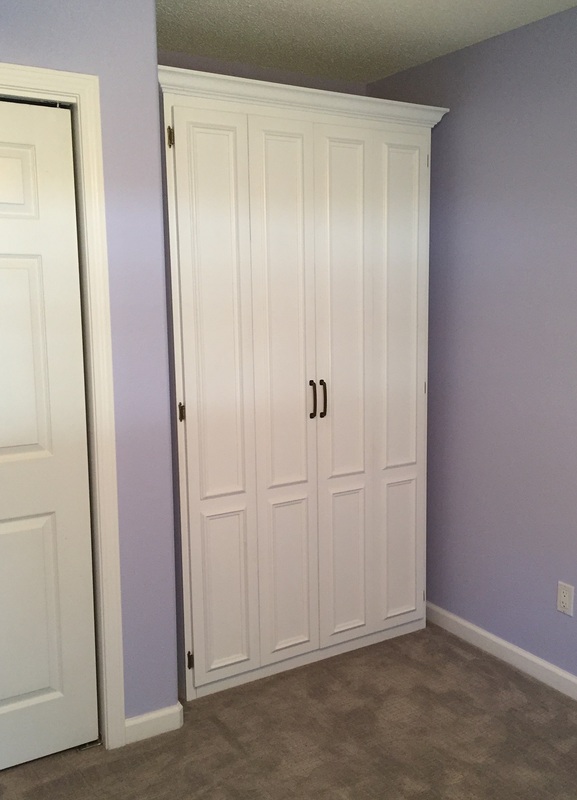 A custom Murphy bed system can make a plain room into something your child will love and you will love the quality and the inherent safety of built-in furniture over stand-alone options. 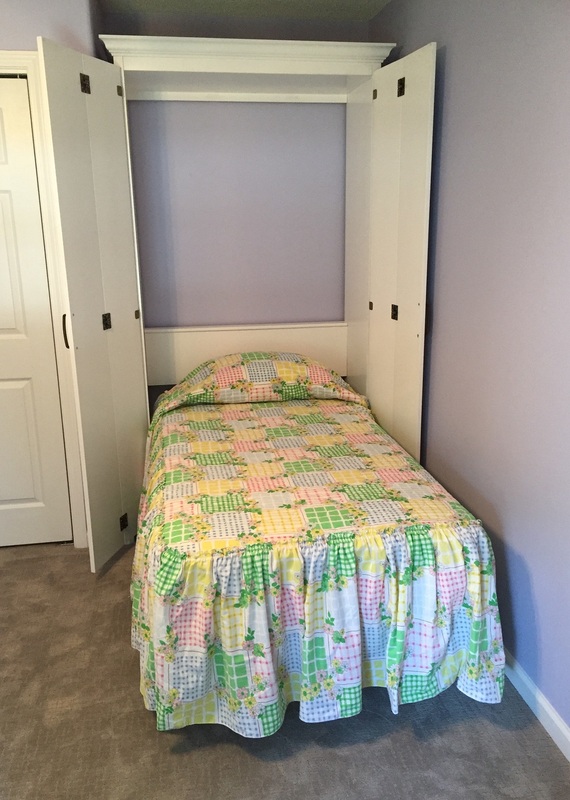 Installing a custom Murphy bed in a child’s room means they can tuck away the bed when they need extra room to play. Our beds are so beautifully balanced that a child can safely pull them down and put them away independently. Our bed frame options are high-quality and strong — built for daily use! 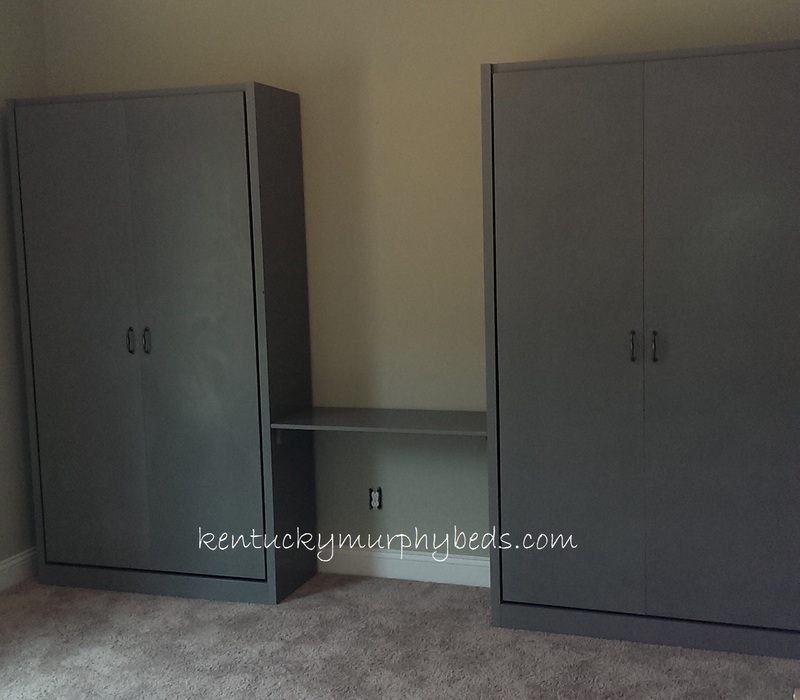 Matching built-in pieces will offer additional storage room for books, toys, electronics… even clothes! Our attached desks offer the perfect surfaces for drawing, doing schoolwork, using a computer, and doing crafts and projects. Having built-in furniture is often safer than freestanding options, especially for more active children. 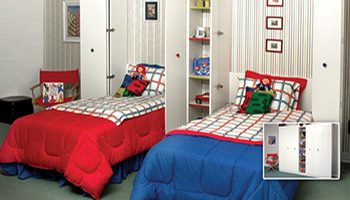 Murphy beds are also great for sleep-overs, providing extra sleeping room as needed in children’s rooms. In a child’s room (or in a guest room at the grandparent’s house) the younger set will love having their own magical, transforming space. Murphy beds are more space-efficient than even bunk beds, and make the room look more organized and spacious. Your child’s world revolves around home — and their bedroom is a big part of that identity. Having custom furniture that meets their needs for exercise, play, study, and rest — all in one package — means they can have it all, no matter what kind of room they have. And, if you have teenagers, having a room that looks less like a bedroom and more like living space is always a plus! 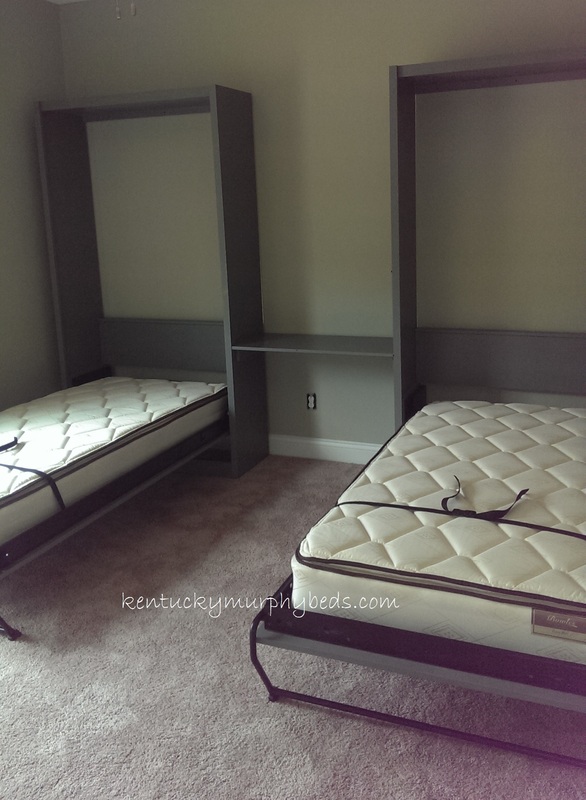 Even if they share their room with another member of the family, having their own space inside that room matters and a Murphy bed from Murphy Beds of Central Kentucky will make defining individual spaces easier and more attractive. Call us today at 859-325-9875 and let’s discuss your options!